The NHL will be reborn in the 2013-2014 season with new divisions and a new playoff format. Realignment will provide a more favorable travel schedule for most teams now that the new divisions are generally based on geographic regions. The Colorado Avalanche are the only team from the old Northwest Division to join the Minnesota Wild in the newly created Division B. The Wild and Avalanche now find themselves in a division with the Winnipeg Jets, Chicago Blackhawks, St Louis Blues, Nashville Predators and the Dallas Stars. With the season just around the corner and many teams adding pieces to their rosters, here is a rundown of the moves made so far in Division B to stack the Wild up against their competition. For the Minnesota Wild, this offseason does not compare to last year when the team signed the two top free agents in Zach Parise and Ryan Suter. 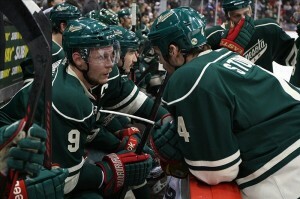 In a shortened season, Parise helped to jump-start the offense scoring 18 goals and 20 assists. Suter also had an excellent year with 4 goals, 28 assists, and a Norris Trophy nomination. 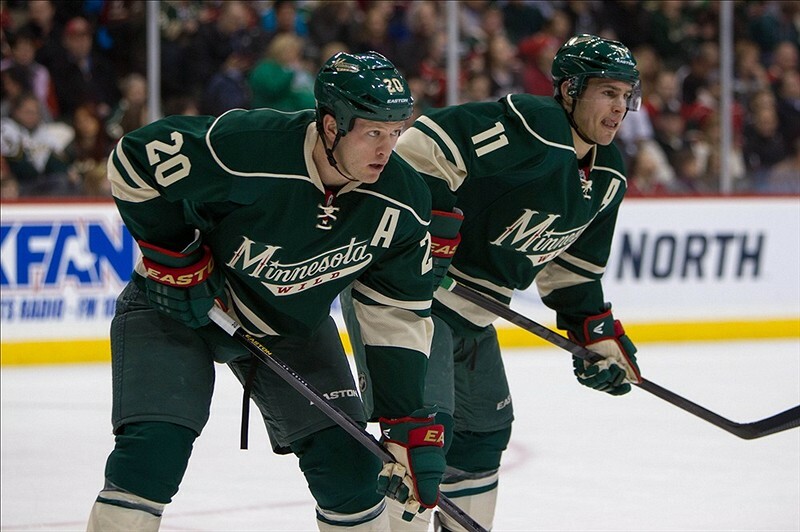 A year removed from when they were signed, Parise and Suter have emerged as the leaders of the new core. The Wild look to build on this experience and move to the next level this season. The 2012 offseason helped set the tone for the future. However, with the salary cap set at $64.3 million for the 2013-2014 season, there wasn’t much room for GM Chuck Fletcher to tweak the roster. 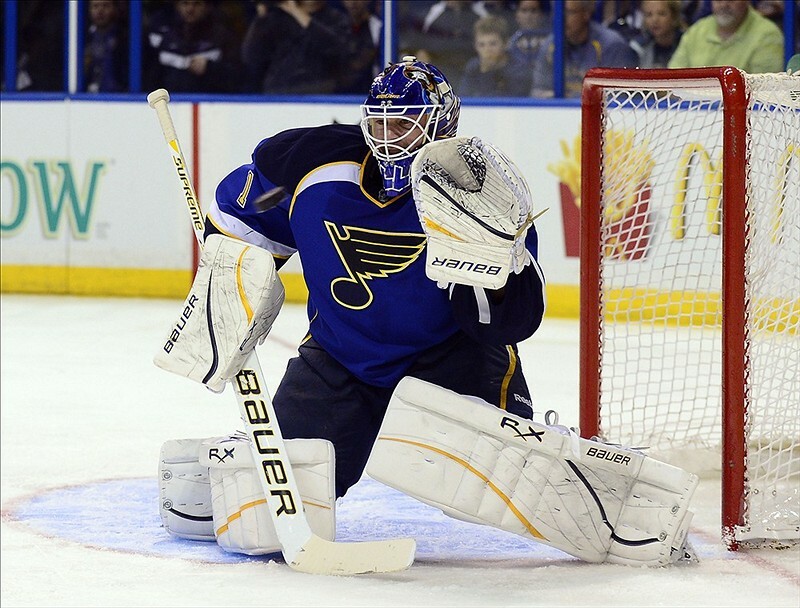 The salary cap situation necessitated a few roster moves so far this offseason. The Wild parted ways with veteran forwards Matt Cullen and Pierre-Marc Bouchard who left through unrestricted free agency. Cullen played an integral role in the playoff push and he aided in the development of the Wild’s youth movement with forwards such as Mikael Granlund and Jason Zucker. Pierre-Marc Bouchard had a difficult time re-establishing his game after suffering several injuries over the past few seasons. Cullen signed with the Nashville Predators on a 2-year $7 million contract while Bouchard inked a 1-year $2 million deal with the Islanders. The Wild also made a few trades and found the cap space for a signing. Devin Setoguchi was sent to the Winnipeg Jets in exchange for a 2nd round pick in next year’s draft. Setoguchi’s diminishing offensive output coupled with a need for cap relief punched his ticket out the door. The team also dealt Cal Clutterbuck and a 3rd round pick to the Islanders in exchange for Nino Niederreiter. Niederreiter fell out of favor with his former team but will have plenty of opportunity to compete for a spot with the Wild. Clutterbuck’s role with the Wild diminished last season and with emerging young talent, the Wild decided it was time to turn the page. Finally, in a more controversial move, the team signed forward Matt Cooke to a 3-year $7.5 million contract. No doubt Cooke has been involved in many questionable and dirty plays in the past. However, he will help on the penalty kill and he has a notable leadership presence in the locker room. There are some who are unhappy with this move but the signing has potential to work out in Minnesota’s favor. For Wild fans, the most notable move made by the Jets is the acquisition of Devin Setoguchi. Will Setoguchi rebound in a Jets uniform? Or will his numbers continue to decline? He will have the opportunity to rediscover his game by establishing chemistry with the likes of Andrew Ladd and Evander Kane. The Jets also acquired Michael Frolik who will bolster the penalty kill but may not provide much offense. The Jets lost 21-year old forward Alexander Burmistrov who recently signed with AK Bars Kazan of the KHL. On the defensive side the Jets re-signed Grant Clitsome and, signed Adam Pardy who was with the Buffalo Sabres last season. The Jets finished the 2012-2013 campaign in 9th place in the Eastern Conference just 4 points out of the playoffs. With a rabid fan base in both Winnipeg and Saint Paul, look for the Jets and Wild to begin a heated rivalry starting this season. After a Stanley Cup Championship the Blackhawks have endured some turnover. Dave Bolland, Michael Frolik, Ray Emery and Viktor Stalberg have all departed from the Windy City. However, the Hawks were able to retain Bryan Bickell, Michal Rozsival and Michal Handzus. Patrick Kane returned to superstar form last year while Jonathan Toews, Corey Crawford, and Duncan Keith also had strong performances. 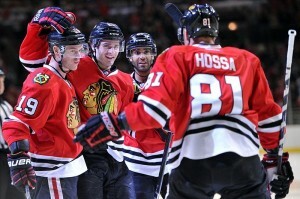 If these trends continue the Chicago Blackhawks will remain among the elite organizations in the NHL. There has been a lot of bad blood between the Wild and Hawks over the years augmented by some tough battles last season. The Wild will look for revenge on the Hawks at every turn after Chicago ended Minnesota’s playoff hopes in the first round. The Blues have focused on their offense so far this summer. St. Louis has signed forwards Keith Aucoin formerly of the New York Islanders, and Maxim Lapierre of the Vancouver Canucks who will add to the bottom six. Aucoin has spent the majority of his professional career in the minors but, he played a key role on the Islanders’ squad last season in a career-high 41 games. 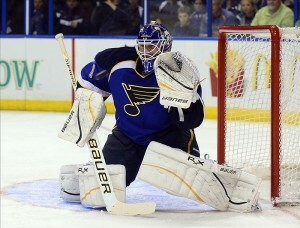 Lapierre is not too much of an offensive threat but he will definitely add some extra sandpaper to the Blues’ attack. Derek Roy was also signed by the Blues. Roy’s offensive numbers have dropped off in recent years since scoring 26 goals and 43 assists in 2009-2010 with the Buffalo Sabres. The one-year deal allows Roy an opportunity to earn a new contract if things go well this season. Finally, the Blues have traded forward David Perron to the Edmonton Oilers for forward Magnus Paajarvi and a 2nd round pick. The trade will create opportunity on offense while providing the Blues with some cap space to resign their restricted free agents. Paajarvi has the potential to become a sound contributor in St. Louis with his great skating and stick-handling skill sets. Perhaps the most important acquisition of any team this offseason has been that of center Nathan MacKinnon who was drafted 1st overall in the 2013 NHL Entry Draft by the Colorado Avalanche. 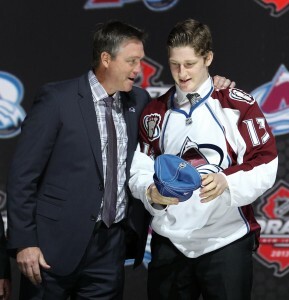 MacKinnon scored 32 goals and 43 assists for the Halifax Mooseheads last season in the QMJHL. The Avs finished third last in the league in goals scored with only 116 in the 2012-2013 campaign. MacKinnon immediately gives the Avs a much-needed boost on offense. The Avs also sent forward David Jones and defenseman Shane O’Brien to the Flames in exchange for defenseman Cory Sarich and forward Alex Tanguay. Tanguay and Sarich will provide experience and leadership that will be valuable to help develop the young squad. The Avs also named their former franchise goaltender Patrick Roy as their new head coach. The Avs hope Roy’s passionate coaching style will guide the team back into playoff contention. 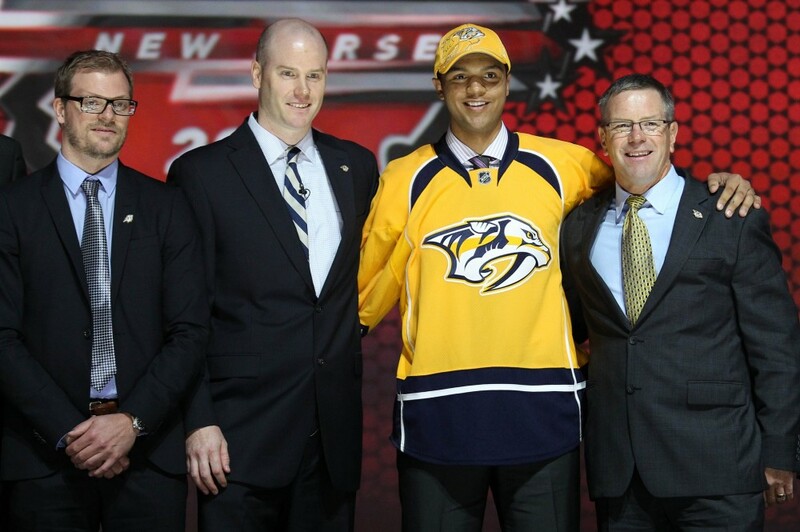 The most surprising story of the 2013 NHL Entry Draft was that defenseman Seth Jones fell to the Nashville Predators who had the 4th overall pick. Jones was considered the top prospect by many scouts. The Predators’ management team was very happy to land Jones who will play on a team already stacked on defense. He will join All Star defenseman Shea Weber and Roman Josi becoming another solid addition to the Predators for years to come. The Predators have been busy adding four veteran forwards in Viktor Stalberg, former Wild Forward Matt Cullen, Matt Hendricks and Eric Nystrom. Stalberg struggled offensively in Chicago last season. He will have an expanded role in Nashville and the chance to regain his scoring touch. At age 36, Matt Cullen has proven his value as a member of the Wild and will now be a strong leader for the Predators. Matt Hendricks is a rugged forward who provides leadership and can be used in many different situations. Eric Nystrom is another tough customer who constantly dishes out body checks. Nashville’s gritty additions on offense will make them an even tougher team to play against this season. Last but not least are the Dallas Stars who have had a huge offseason. In addition to adding former long-time Buffalo Sabres coach Lindy Ruff into the fold, the Stars pulled off one of the biggest trades of this summer. They sent Loui Eriksson, Joe Morrow, Reilly Smith and Matt Fraser to the Boston Bruins for Tyler Seguin, Rich Peverley and Ryan Button. Seguin had a very productive season scoring 16 goals and 16 assists but only had 8 points in 22 playoff games. Dallas has some maturity issues to iron out with Seguin. However, the former 2nd overall pick has amassed 121 points in only 203 games so there is plenty of upside in what will be a very productive NHL career. Peverley is a great defensive forward, is a rugged playoff warrior, and like Seguin, has a Stanley Cup to his name. Adding Seguin and Peverley will provide a winning presence that can only help Dallas as it rebuilds. The Stars also traded defensemen Philip Larsen and a 7th round pick in 2016 to the Edmonton Oilers for their former captain Shawn Horcoff. 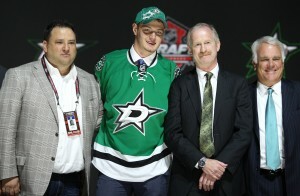 Horcoff already has experience leading young players in Edmonton which will be valuable in Dallas’ rebuilding efforts. Recently drafted Valeri Nichushkin is one young player with an opportunity to have an immediate impact in Dallas. There will definitely be growing-pains but look for the Stars to emerge as a playoff contender over the next few seasons. The 2012-2013 playoffs ended abruptly for the Wild. The goal for the organization is to build upon this experience and use it as motivation to make a deeper playoff run this season. The key for the Wild is getting the kids to gel with the new core. If the Wild can find their game early and play with consistency, there is no reason why the Wild can’t meet their goal and be contenders this season.